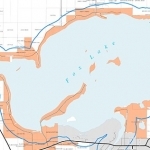 Your FLPO is committed to enhancing the water quality, fishery, boating safety and aesthetic values of Fox Lake. Your membership to your FLPO ensures that our work can continue to make Fox Lake a wonderful place to live and play. Your FLPO is working with Dodge County farmers, the DNR, and Dodge County officials in minimizing nutrient run-off into Fox Lake. FLPO is also exploring use of other materials to minimize nutrient run-off. Help support our efforts. Join FLPO today. The FLPO 2019-20 Membership drive has begun! Join the Fox Lake Preservation Organization. Your membership assists in the funding of fish stocking,special events that enhances lake living,and most importantly, water quality initiatives. Join today by clicking on the above title. Our FLPO 2019 Calendar is announced! Check out all the fun 2019 activities on Fox Lake. This year there will be TWO Tunes on the Lake events! Click on the above title for details. We have Love Your Lake Spring Tips! Click on the above title for 'Fox Lake Friendly' tips as you ready your property for warmer temps. All FLPO members are kept updated on news that affect Fox Lake. Stay connected by receiving our FLPO newsletters, e-news, and more. Not yet a member of FLPO? Sign up here.